With arts, fashion, gastronomy and culture, there’s no doubt that in the wonderful city of Paris, that you’ll have plenty to do. Whether you’re travelling for business or for pleasure, one thing that many people don’t pay much attention to, is how they’re going to get from the airport to the city after they’ve landed. As if arranging a flight and all of the other arrangements you have to make when you’re travelling aren’t enough! 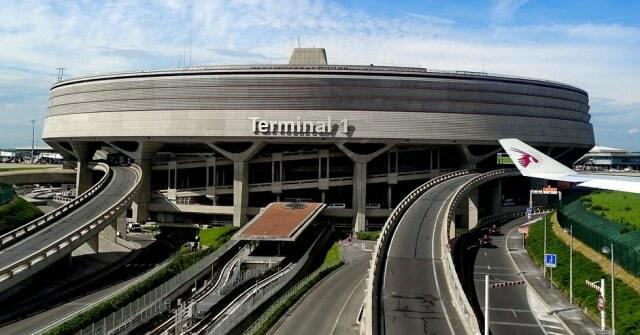 So, have you thought about how you’re going to get from Charles de Gaulle airport to Paris? There are plenty of options, but which is the most convenient solution for your needs? Check out the options you have! - An English speaking driver. This will make communication much easier for everyone involved. - Full flexible booking, which means if you’ve got any last minute changes, you’re able to make them without any added fees. - Your driver will track your flight so that you don’t have to wait around at the airport once you’ve landed. - 24/7 availability for pick ups and support, meaning that whatever your needs are, they’ll be tailored to. - No hidden charges for your journey to the city. You’ll pay around 60€ and not have to worry about any more being added in regards to peak time fees. Another option to consider is, of course, the bus. Buses run from 5.30 am until 4 am so there’s plenty of flexibility. Running every 20 minutes or so, you’re bound to find a bus that can take you to the city! However, it takes the bus service around 80 minutes to get to Paris on a bus which may not be something that appeals to you. You can expect to pay around 23€ for your trip, and you can rest assured that there will be plenty of space for your luggage. Whatever reason you’ve flown to Paris for, there’s a high chance that the other passengers on the plane will be heading in the same direction as you when you land too, which means that it’s also very likely that there’s a coach running to take the passengers of your flight to the city. With coaches, you’ll have the luxury of air conditioning, easy travelling, and room for your luggage. It’s also very likely that the cost of a coach service won’t break the bank either, because of the other passengers boarding at the same time as you. Consider using a coach service for easy travelling! Trains are also another wonderful option to consider. The great thing about trains is that they are fast, efficient, and again, a very easy mode of travel. However, they only run between the hours of 4.56 am and 23.56 pm, which means that if your flight is outside of these times, you could be waiting around in the airport for a considerable amount of time. It’s also one of the longest journeys out of the options available. With an estimated 50 minute travelling time, and costing you 20€, it may not be the perfect option for you. - You may not have a driver that can speak English, meaning that communication is going to be much harder. - You may end up paying a pricey fare, especially if you’re travelling during peak times such as the night, bank holidays, or weekends. - Your taxi driver is unlikely to track your flight, meaning you could be waiting around for a pick up for some time. As you can see, there are a plethora of options when it comes to travelling from the airport to the city, and some alternatives will suit you better than others. Whether you’re trying to cut back on your budget, or you’re trying to get somewhere fast for a business trip, you should be able to find the best solution here. I hope you enjoyed this blog post about the best way to travel from the Charles de Gaulle airport to Paris France and vice versa on your trip. Interested in more articles about traveling and business trips?